Product prices and availability are accurate as of 2019-03-31 07:05:43 EDT and are subject to change. Any price and availability information displayed on http://www.amazon.com/ at the time of purchase will apply to the purchase of this product. The KanexPro hd-ext60m is a compact HDMI extender with local HDMI output designed to carry DVI/ HDMI signals over distances beyond the capability of standard HDMI/ DVI cable. It extends video and audio over a single Cat6 cable up to 196ft. 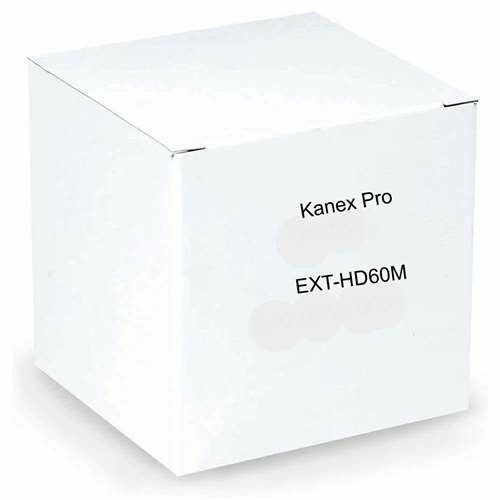 (60M) and is compliant with HDCP and EDID to enhance Deep color and Optimal resolutions up to HD 1080p/60. 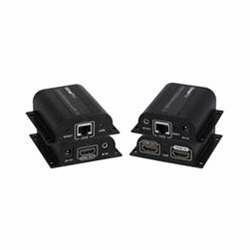 In addition, the extender provides auto-adjustment, buffering and signal equalization to maintain pixel-perfect resolution up to HD 1080p/60 on a single Cat6 cable.